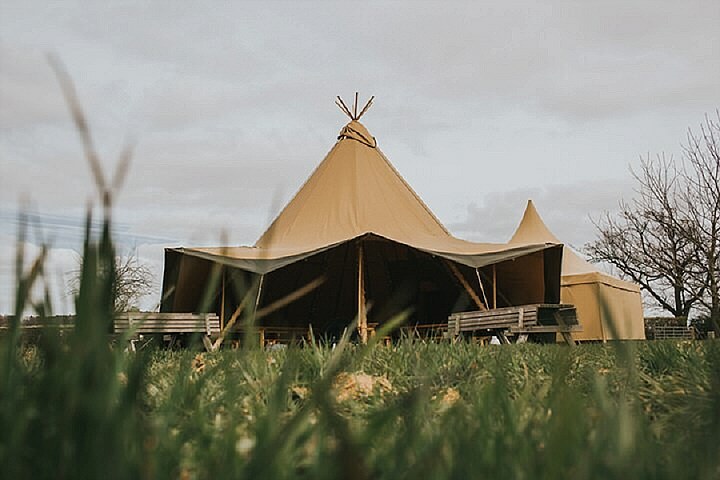 This afternoon we are visiting a gorgeous tipi venue styled to perfection. 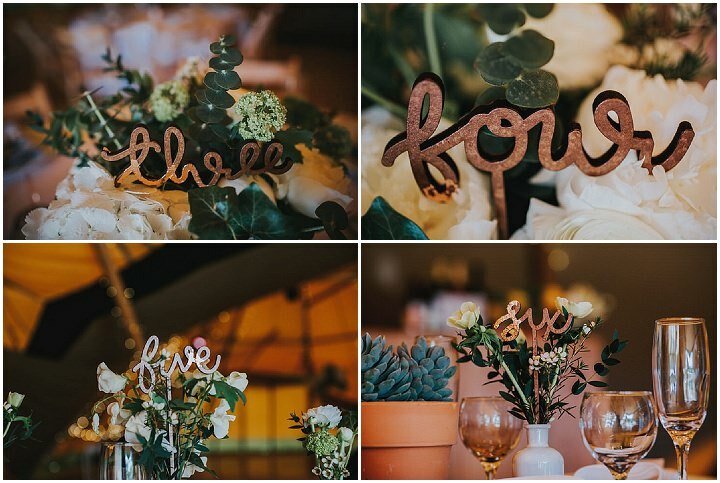 It may have been a grey day in April, but the foliage and warm copper tones used in this shoot invoke a warm, cosy atmosphere with just the right amount of modern industrial touches. 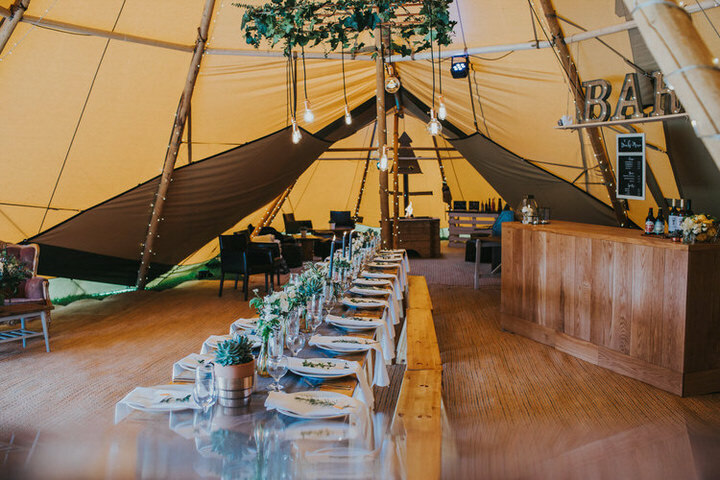 Many thanks to Jodie from Sami Tipi, and the photographer Ed Brown for these images. 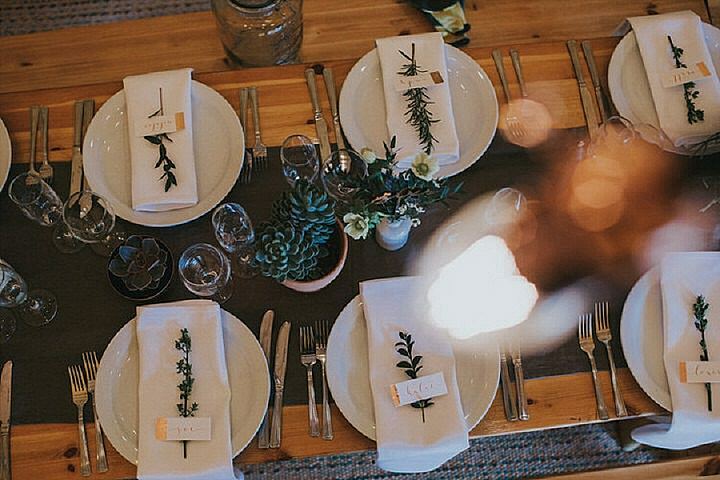 Industrial meets botanical with a modern, minimal style! 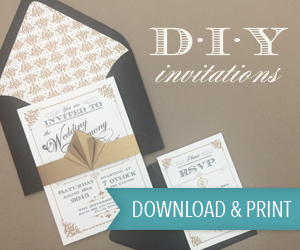 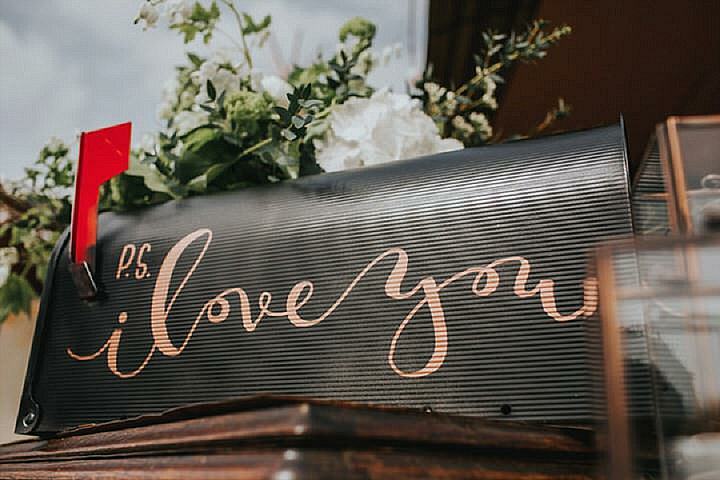 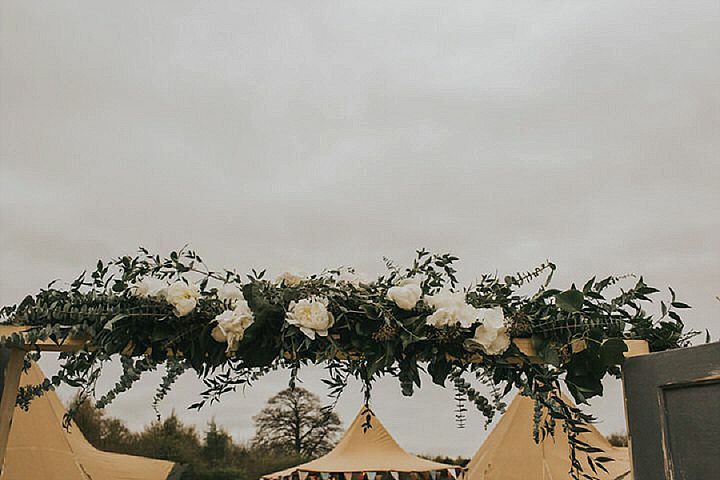 The polar opposite to the vintage wedding that we have all grown to know and love over the years. 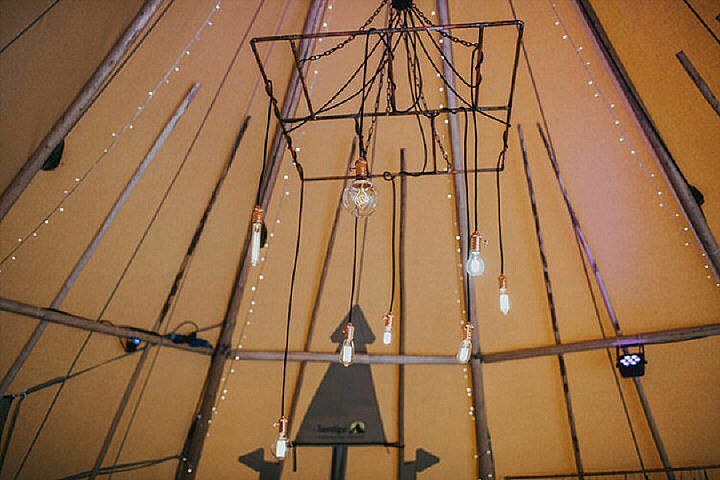 We stripped the tipis back and went for a modern, clean and minimal style. 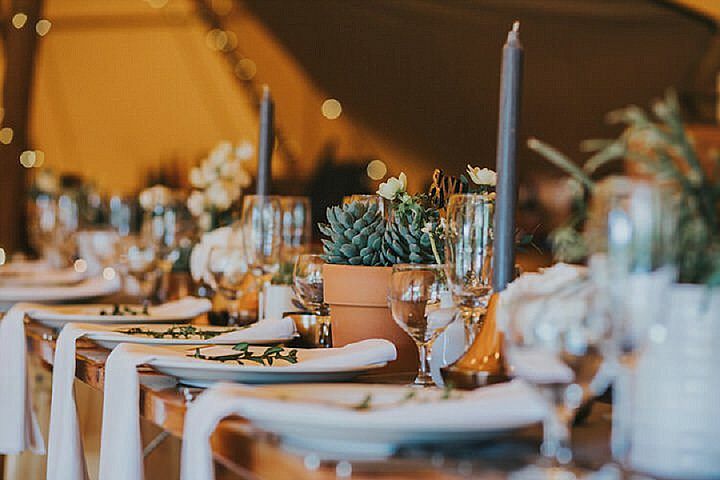 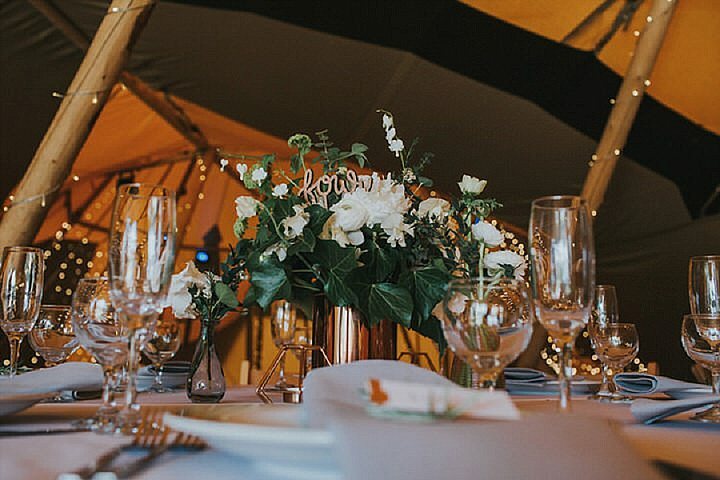 Using copper tones and accessories mixed with white florals and industrial hanging lighting, the blank canvas of the tipis were the perfect backdrop for this. 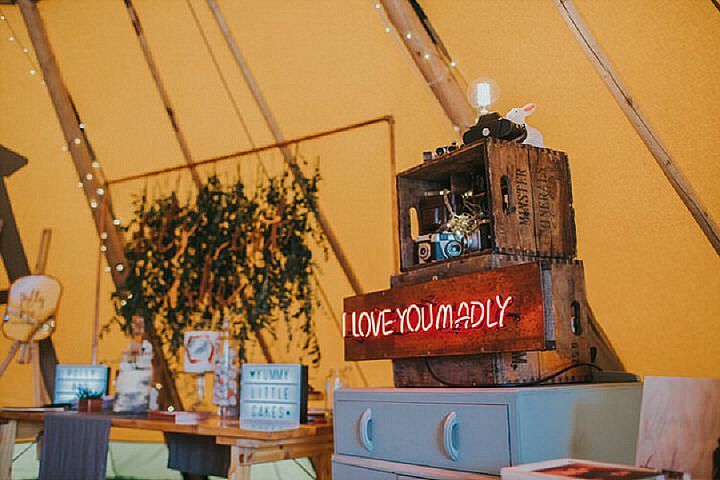 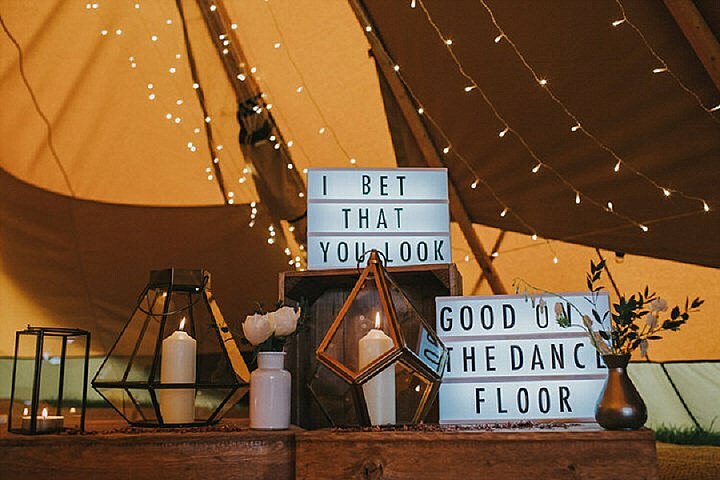 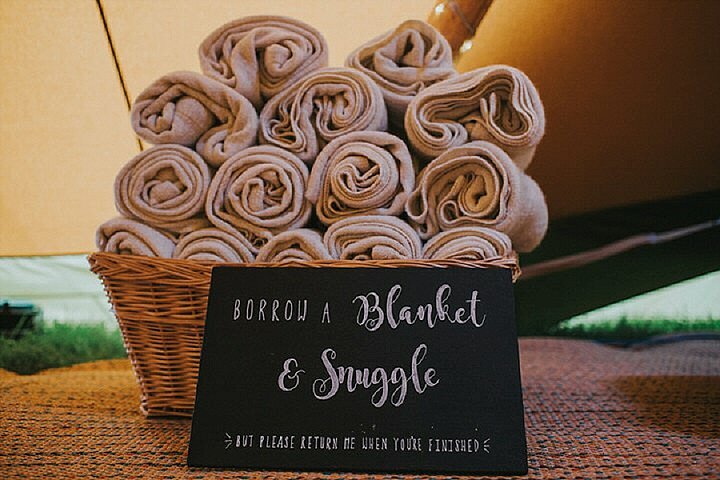 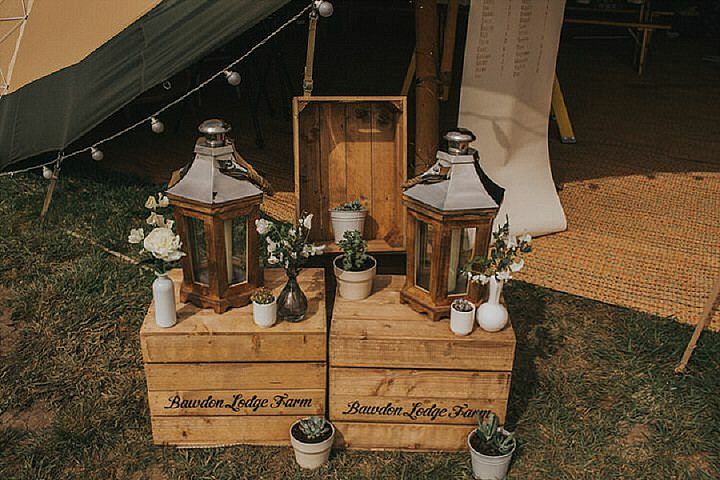 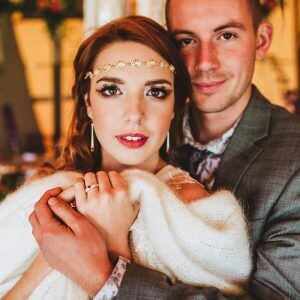 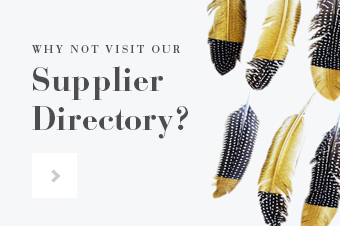 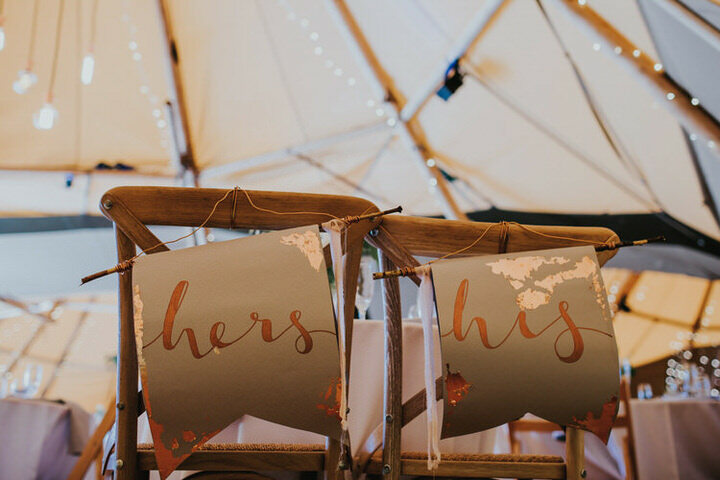 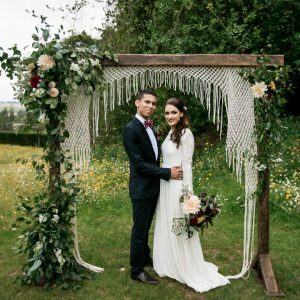 We wanted to use the opportunity to show couples that with planning a tipi wedding, there really is no limit to what you can achieve in terms of décor. 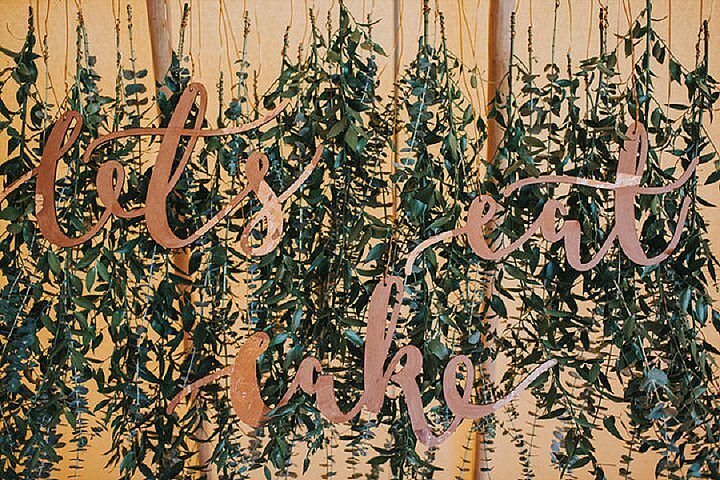 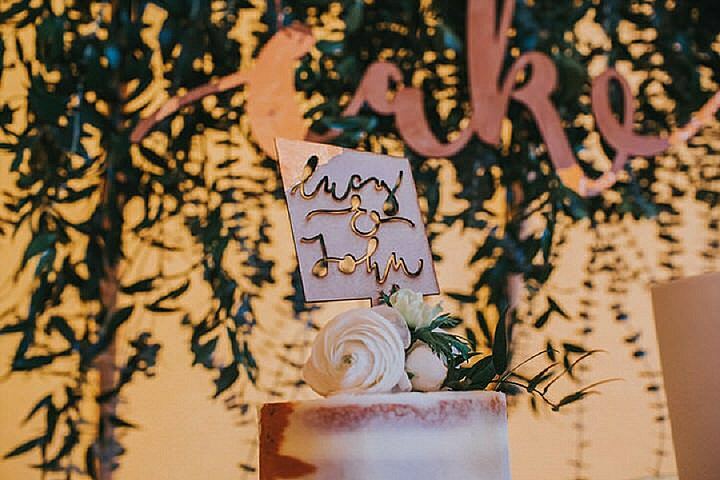 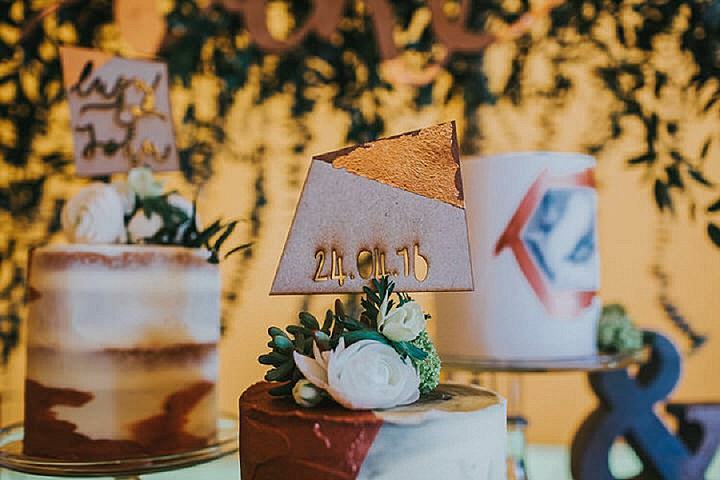 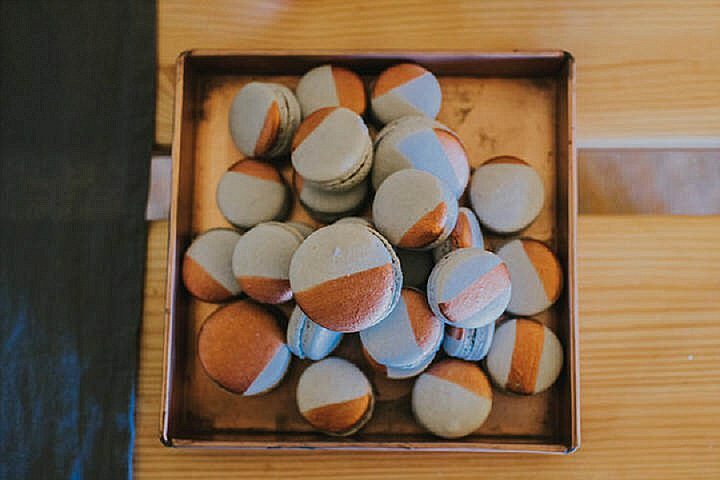 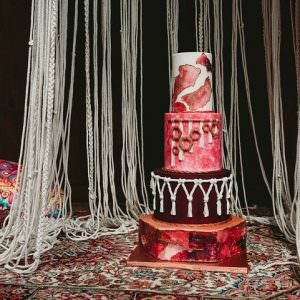 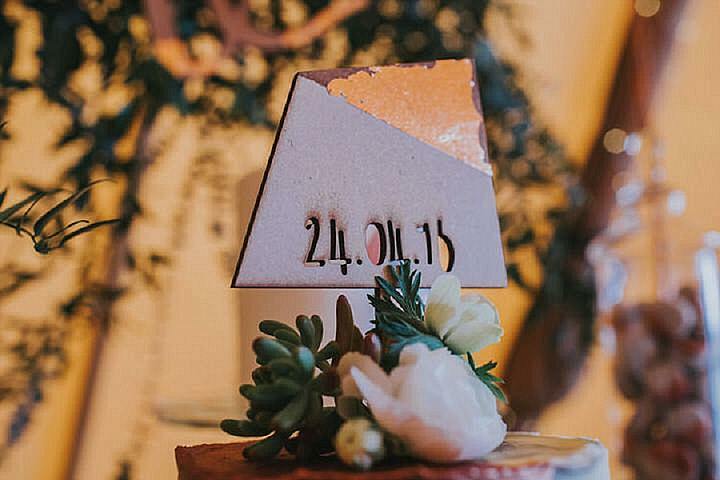 The styling team worked hard to ensure the theme was throughout all aspects from the table décor and bar set up to the beautiful cakes and signage. 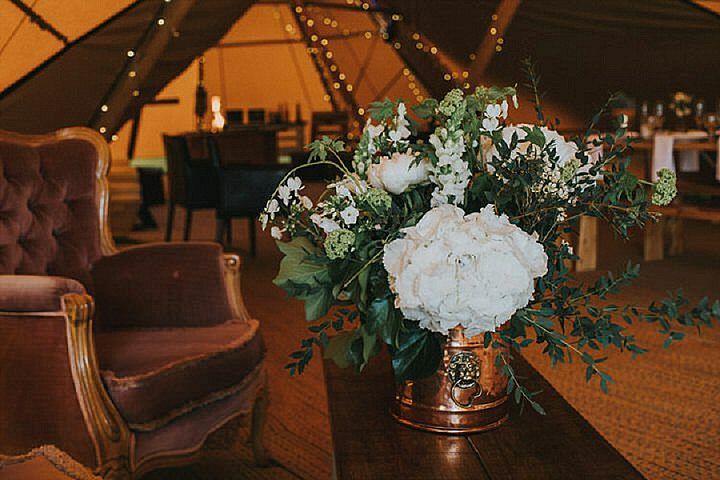 The centre pieces were a mix of glass and copper with many pieces collected from the high street: H&M home, Asda & Tiger to name a few. 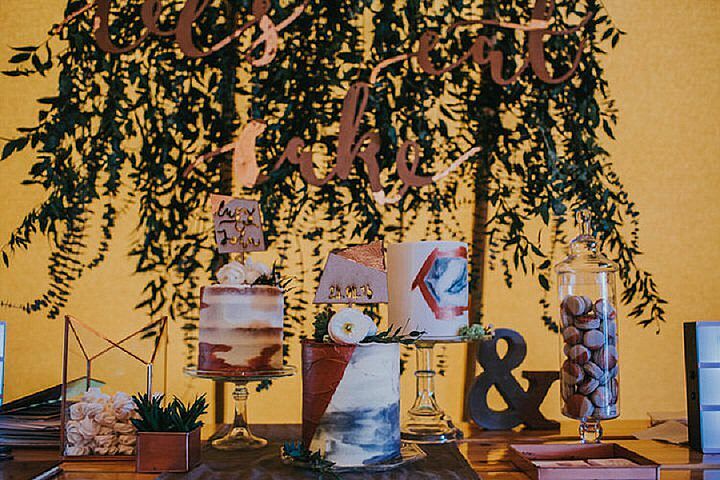 It is the bold contrast of the soft and hard textures that bring this theme to life. 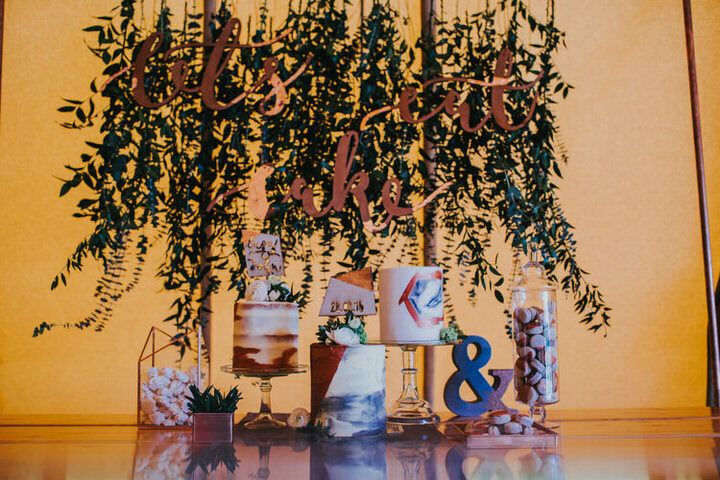 A fresh white and green palette was used to sit against the beautiful grey, glass and warm copper tones of the styling. 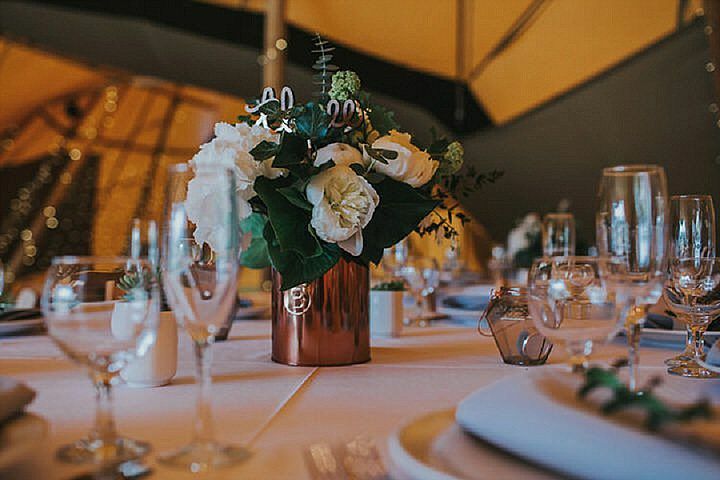 Spring flowers such a Ranunculas, Tulips, Sweet Peas, Peonies and Dicentra were used to create a wild and whimsical look, which went well with the relaxed Tipi setting. 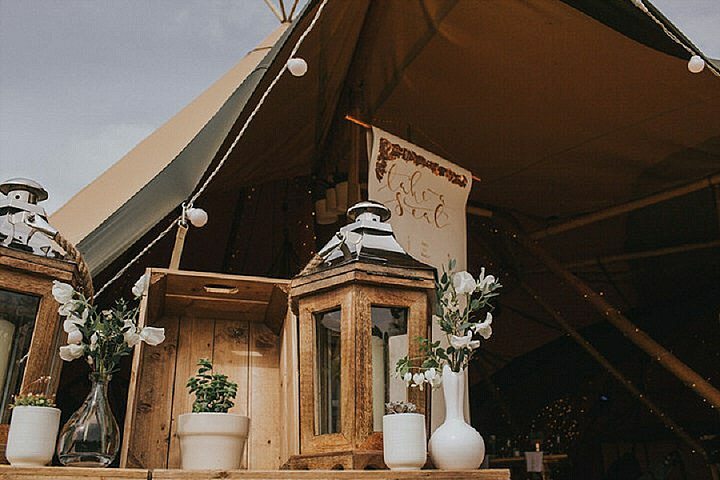 Sage green Eucalyptus, Ivy and tactile succulents were used to bring the outside into the Tipi, creating a really natural backdrop with plenty of texture. 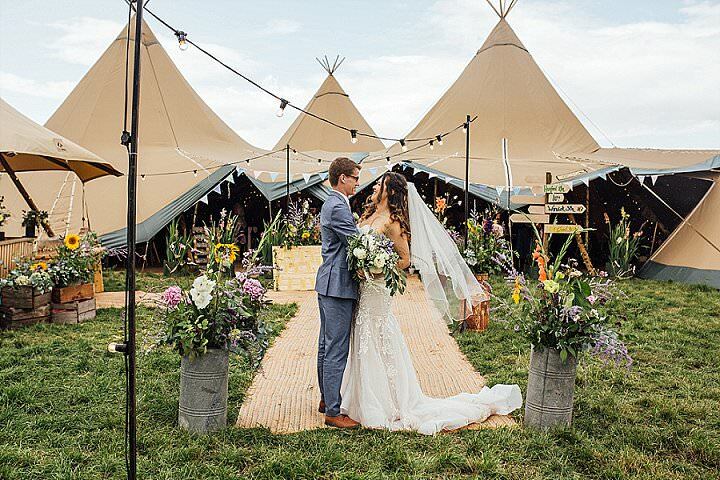 We wanted to use the opportunity to show how versatile the tipis are and how well they lend themselves to this fresh clean style. 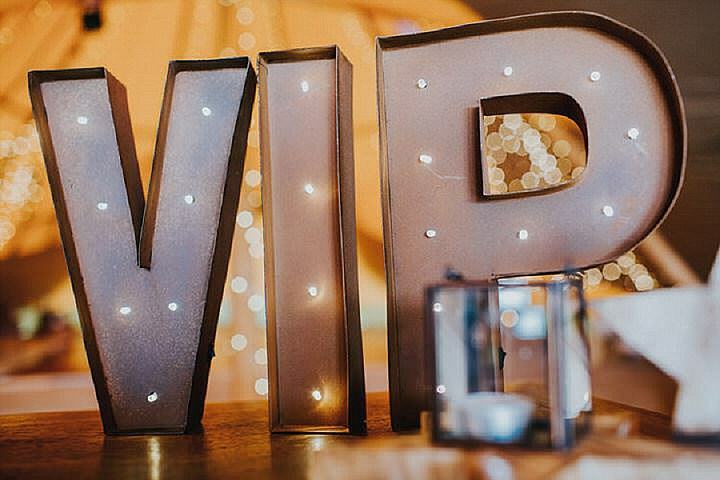 The feedback we’ve had from our guests at the VIP Starlight Social and from this year’s Spring Showcase has been just amazing! 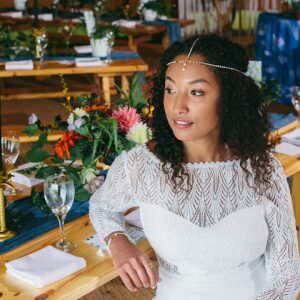 We love doing styled shoots, it is a great way to come together with industry friends and show what you do best. 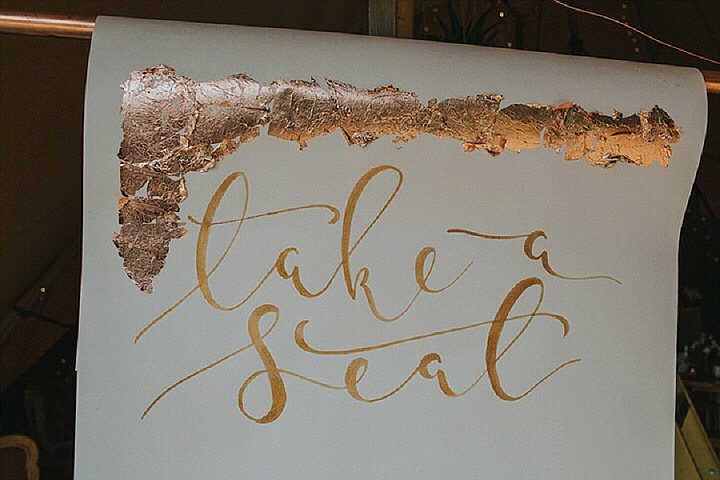 Talks are always underway for more shoots with some great ideas coming together for one very soon.